Snazzier phones with premium price tags are set to vie for Indian customers’ wallets in 2019, but it would be entry-level and affordable smartphones driving sales volume in the world’s second largest smartphone market. According to experts, 2018 was a vibrant year for smartphone companies in India as shipments grew by an estimated 11 per cent to about 150 million units. And the growth streak is expected to get a bit better at 12 per cent in 2019. The stellar growth saw India uprooting the US as the the world’s second largest mobile phone market by volume — ranking behind China but handset prices have been skewed towards lower-end of the market. “This is likely to change fast. We expect that mid-range smartphones, those with wholesale prices in the range of USD 200-400, will grow 20 per cent year-on-year in 2018 and by almost four times during the next five years to make it one of the most important smartphone segments,” Counterpoint Research Associate Director Tarun Pathak said. He said the sales volume sweet spot is moving from sub-USD 150 segment towards mid-tier as many features and capabilities common among flagship models, progressively diffuse through to these lower price bands. 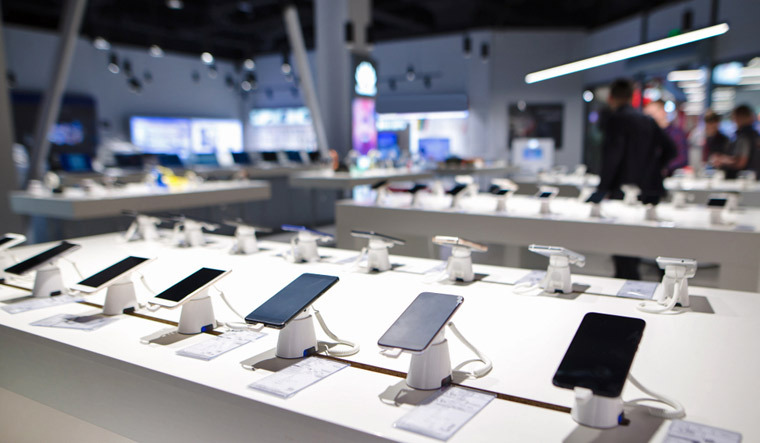 Also, with features like full-screen displays, dual-cameras, biometric security and support for artificial intelligence being made available in more mid-range devices, customers don’t seem to mind paying more for the latest technologies. The 4G feature phones — designed to bring new users online — continued to gain traction among users during 2018 with Reliance Jio making a strong push for these devices. Xiaomi, which held onto the numero uno spot in a hyper-competitive market, said it expects the average selling increasing gradually. The company has already expanded its product range to include televisions and said it will continue to focus on bringing more categories and more innovative products to India. Premium players like OnePlus and Apple also expect strong growth in sales in 2019. OPPO, which has recently set up a research and development facility in India, is focussed on localising products and creating consumer centric devices for consumers in the coming year. The Chinese player, much like its peers, expects the premium segment market to grow and shape out well in 2019. For Transsion — which operates multiple brands in India including itel, Infinix and Tecno — the Rs 7,000-15,000 segment of smartphones is expected to contribute highest in 2019. Globally, new innovations like 5G and even foldable screens are trends that consumers are keenly awaiting. However, it may be some time before new gadgets with these new features make inroads in the Indian market. Interestingly, high demand — coupled with increased customs duties — prompted many vendors to ramp up production in the country. From being entirely dependent on imports to meeting almost 100 per cent of the domestic requirement, India has come a long way. According to India Cellular and Electronics Association (ICEA), the mobile handset manufacturing in terms of value for 2018-19 is expected to touch a whopping Rs 1.65 lakh crore with a volume turnover of about 29 crore units. “The resurgent mobile handset manufacturing eco-system in India has saved the country of approximately Rs 3 lakh crore through replacement of complete build unit imports and the growing domestic assembling or manufacturing of handsets,” ICEA Chairman Pankaj Mohindroo said. He added that India’s mobile handset and components manufacturing industry has successfully established 268 manufacturing units, generating employment for over 6.7 lakh across the nation. An ICEA-McKinsey report said if India extends its ambitions to the export market, it could manufacture around 1,250 million handsets by 2025 and create an industry worth around USD 230 billion. The onslaught of the Chinese giants like Xiaomi, Vivo and Oppo continued during the year with these three players alone accounting for over 44 per cent of the shipment in the July-September quarter. Despite the intense competition, domestic players like Micromax and Lava remain upbeat. Lava International Head (Product) Tejinder Singh said brands engaged in short-term strategies in India would fail. “…brands like Lava, which have invested heavily in R&D will deliver products rich in quality and provide the best consumer experience to its customers. We feel that this cut throat competition is actually good for the industry as it pushes everyone to improve consistently, rethink strategies and optimise costs for the consumers,” he explained. According to Micromax co-founder Vikas Jain, further ‘consolidation’ could be seen in the industry that has seen exit of players like Comio and HTC this year. “Consolidation is likely to be seen in the market with some smaller players exiting. Quality of products and services, across price bands, are important factors for customers. It’s not cheap phones, but value for money that they seek,” he said. The industry also saw the entry of new players like Realme in the country. Realme India CEO Madhav Sheth believes competition will continue to be intense, especially in the mid-range. While smartphone launches may hog limelight through the year, the PC industry remains also remains upbeat on 2019. HP India Senior Director (Personal Systems) Vickram Bedi said the PC market in India is going through a transformative phase wherein the premium and gaming segment are leading the growth momentum of the entire category. Arnold Su, PC and ROG Head at Asus India shared similar views. “The ‘thin and light’ segment is expected to dominate 2019. The objective is to build powerful laptops which are easy to carry at an affordable price point,” he said.